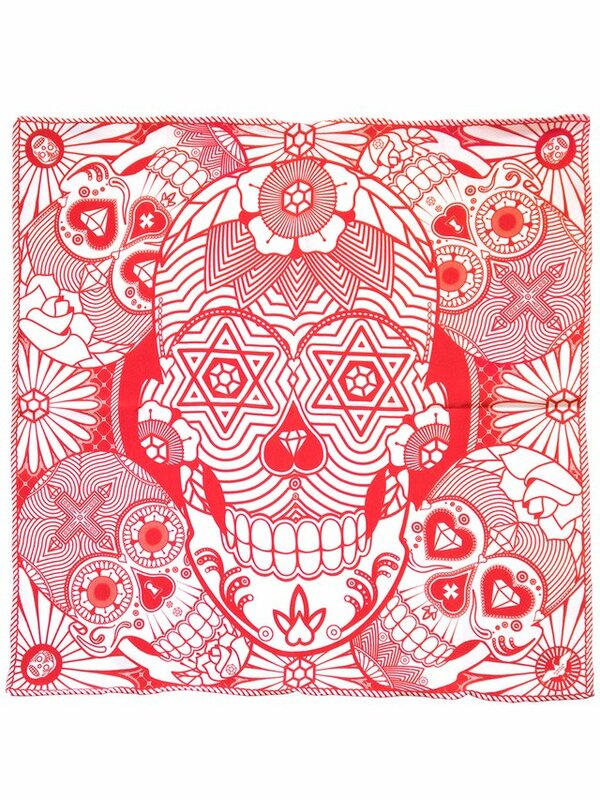 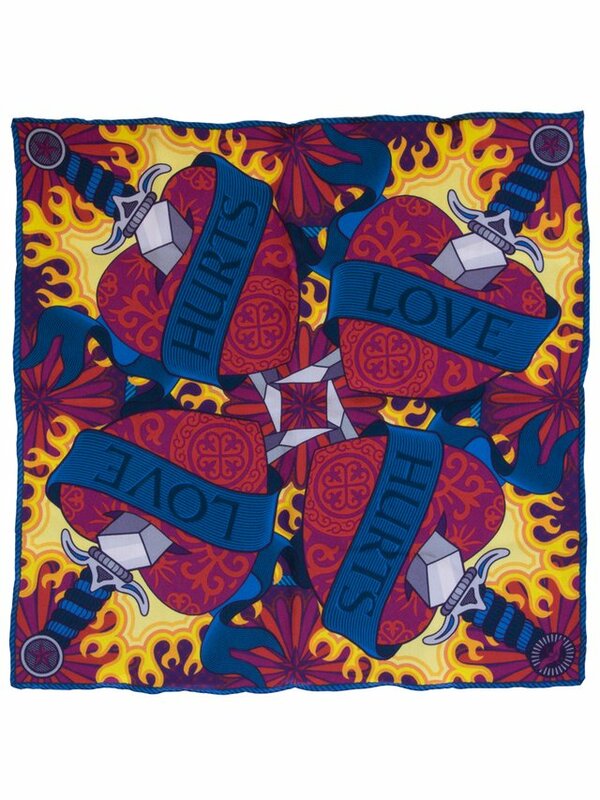 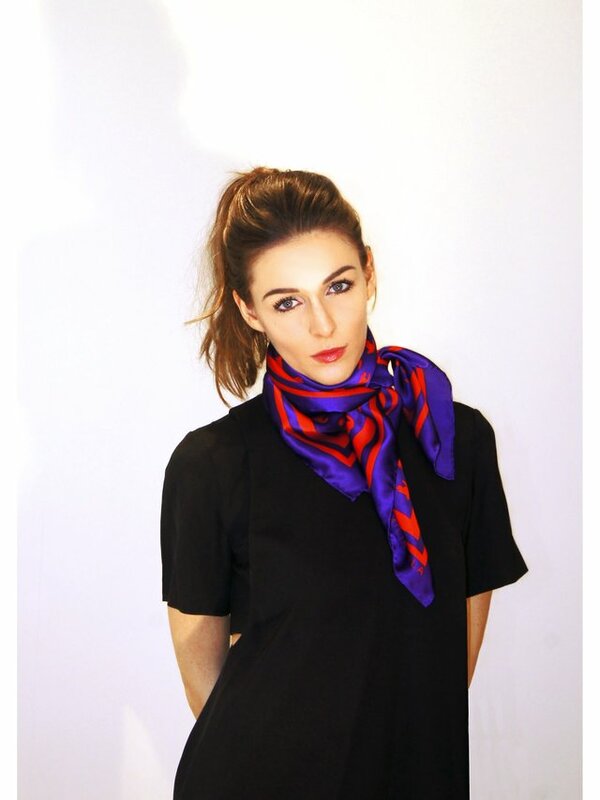 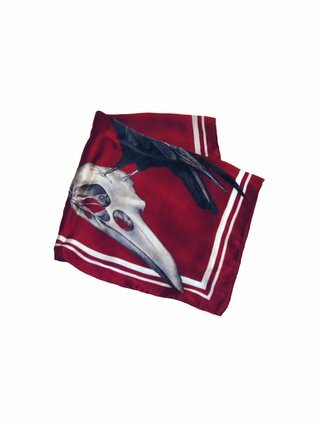 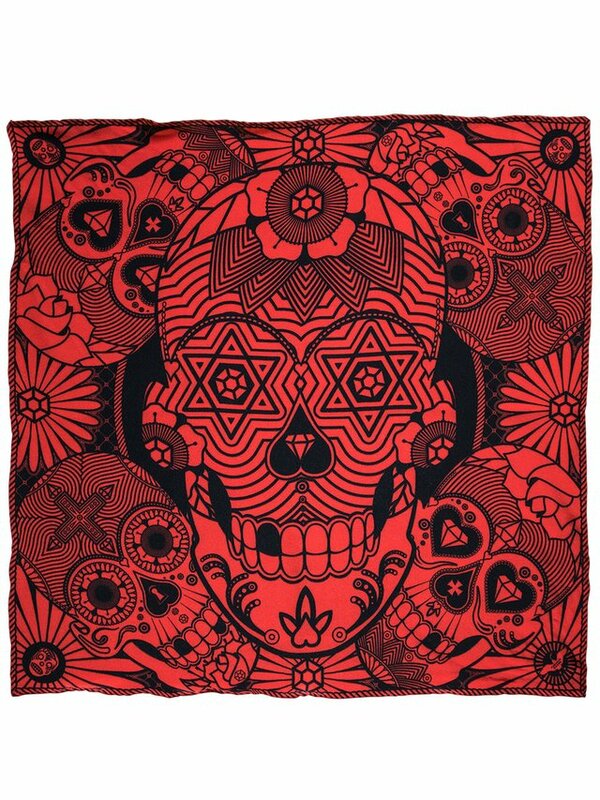 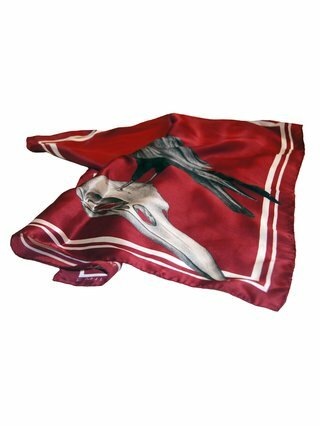 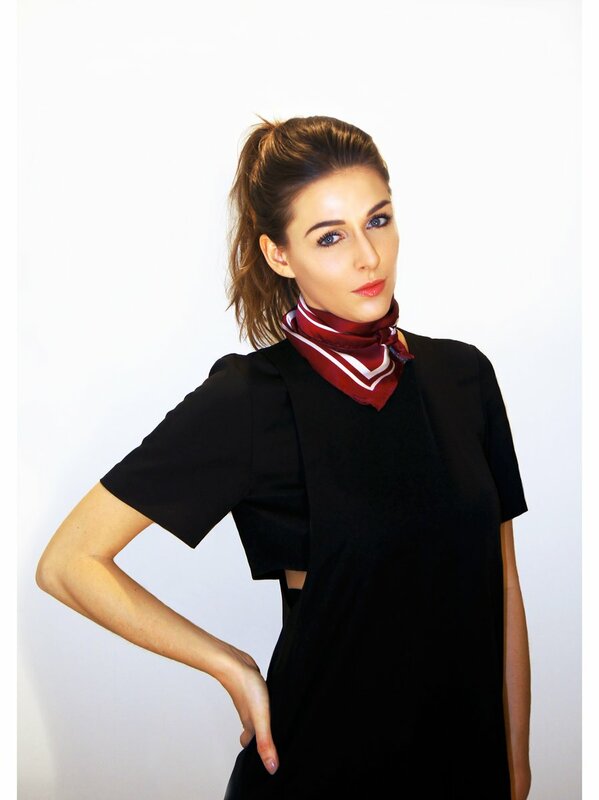 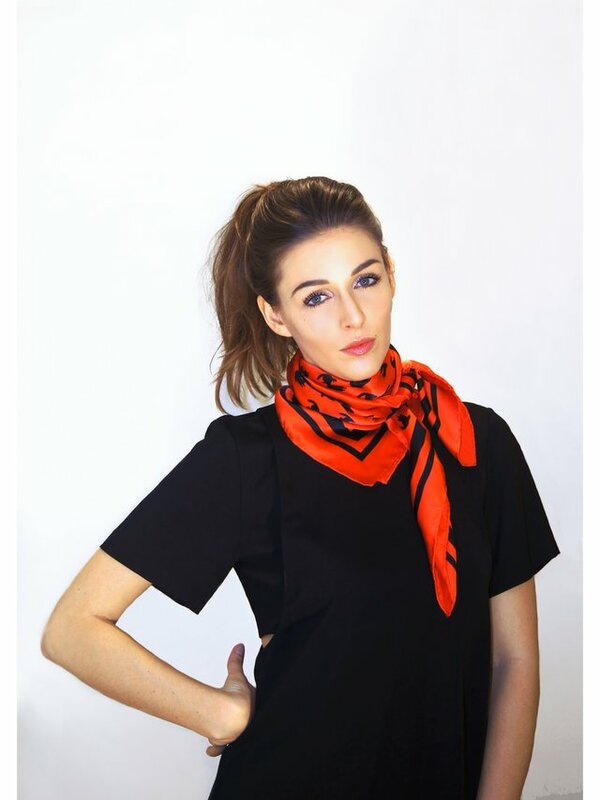 Women's bandana size square scarf. 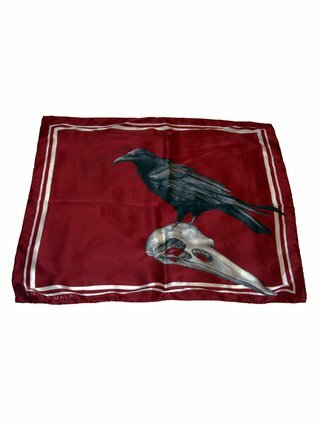 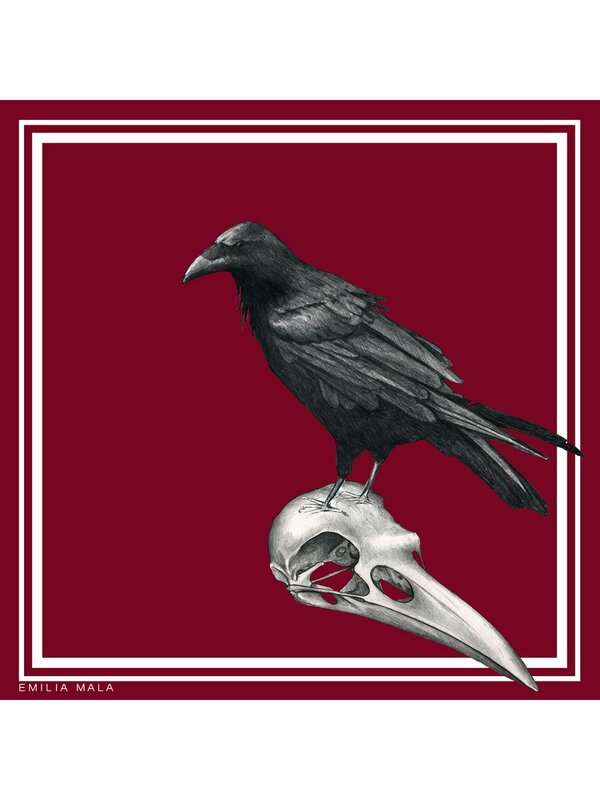 Merle has a big hand drawn crow standing on a crow skull motif & white stripes in the edges. Made from luxurious soft silk satin with rolled hem finished edges. Perfect to use around your neck, hair, head or arm and style it however you want. 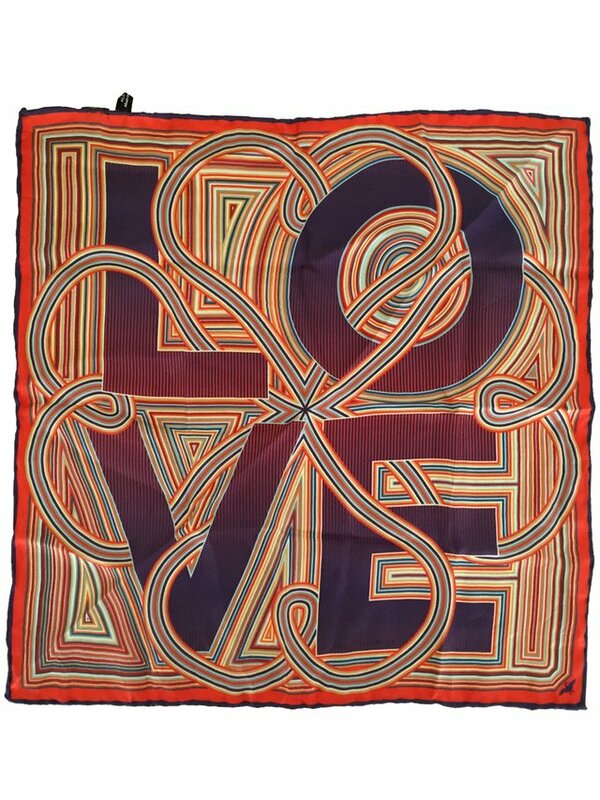 One size 60cm / 23.6" 60cm / 23.6"